Combat Press has reported that Richie Martinez will enter the first Abu Dhabi Combat Club North American Trials 2018. The event takes place Nov. 3 at Central Regional High School in Bayville, N.J.
Martinez entered the ADCC U.S. Trials back in 2015. In that tournament, he won his first round match. However, in his next bout, he submitted to AJ Agazarm via toe hold. At the most recent ADCC Submission Wrestling World Championships, Agazarm finished second in the under 66 kg division. While Martinez has not experienced much success in his limited ADCC career, he has picked up wins while competing for a variety of other tournaments. Last year, he picked up wins over Daniel Hampton, Kevin Gallagher and Chase Davis. His best results came in Combat Jiu-Jitsu, which allows limited open hand strikes on the ground. At EBI 13, he defeated Bobby Emmons and Thiago Moises to become at the inaugural CJJ welterweight champion. Martinez is one of the head coaches at 10th Planet Jiu-Jitsu Freak Show. However, according the Combat Press article, he has recently been cross training with Alliance BJJ, Eduardo Telles, Xande Ribeiro and Saulo Ribeiro. 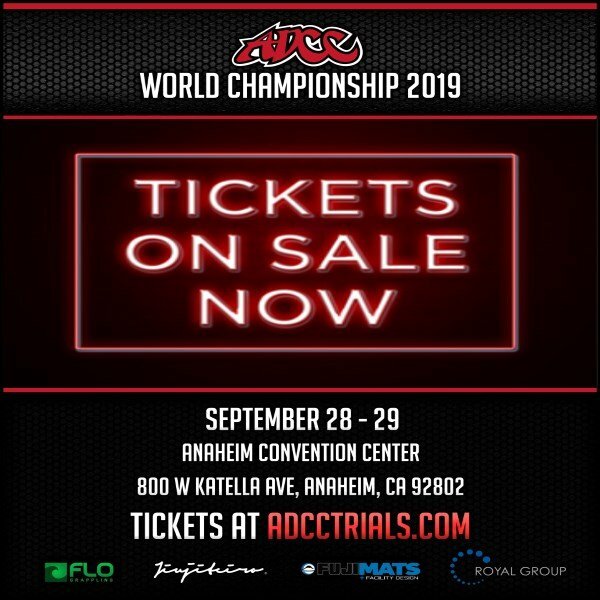 Winners of the ADCC North American Trials professional divisions will earn a ticket to the 2019 ADCC Submission Wrestling World Championships. The European Trials are scheduled for Oct. 6 2018 in Bucharest, Romania.